Welcome to Word of the Week! Stay tuned for a new word each week to amp up your nature vocabulary! Epizoochory [epi-zo-o-cho-ry] (noun): seed dispersal by transporting on the outside of animals - usually on the hair of mammals. It is in a plant's best interest to send its seeds far and wide to avoid competition and to give their offspring a greater chance to thrive. Many plants use animals to help disperse their seeds - this is called "zoochory". However, when the seeds stick to the outside of an animal, it is called "epizoochory"- the "epi" is from Greek, meaning "upon". In September and October we can really notice epizoochory when burrs stick to dog's fur or showy tick-trefoil seeds stick to our clothing. Epizoochory is an important adaptation for plants to spread their progeny. Since plants don't have legs, they sneakily hitch rides on creatures that do. Sometimes they cling to squirrels, foxes, raccoons or voles......sometimes those seeds cling to us! 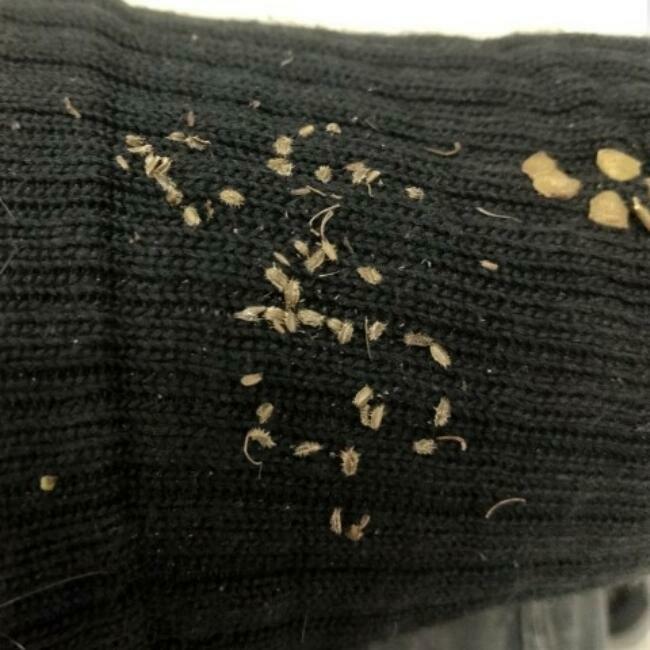 Seeds of Queen Anne's lace (left) and showy tick-trefoil (right) clinging to a sock, looking for a new home.